We recently upgraded to 5.4 and now when we create a new mailing, we are unable to enter any HTML content. The HTML area shows without the white editor area and any HTML options. The plain text area shows fine. See the screen capture - the HTML area is blank while the Plain Text area has a white space to enter content. I've seen this when the CiviCRM plugin directory is not actually located inside wp-content/plugins but a symlink is used instead. The solution is my case was not to use a symlink. I had this same issue with 5.4.1 on Drupal 7. 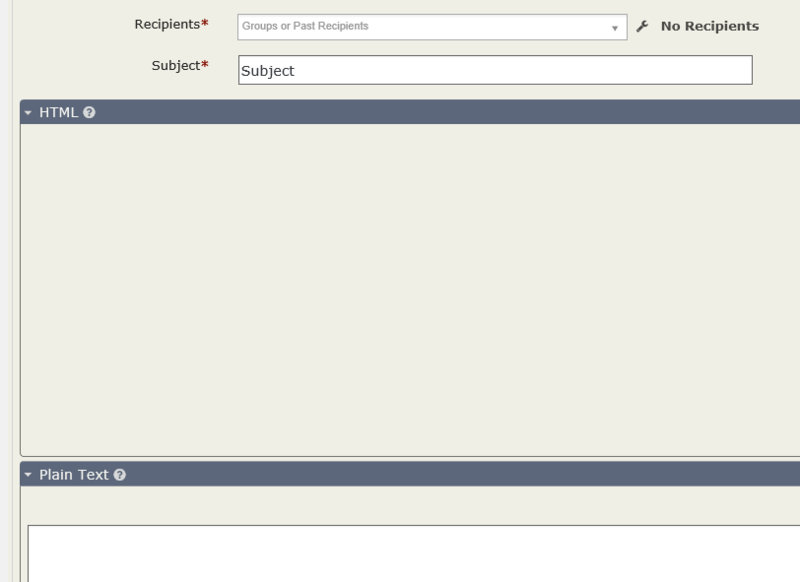 CKEditor was working fine in all other parts of the CMS, but the HTML input field on the CiviMail page was as above. Clearing the browser cache resolved it for me.